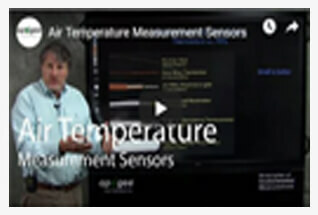 Apogee Instruments offers three styles of thermistors and the most accurate Platinum Resistance Thermometer (PRT) commercially available. 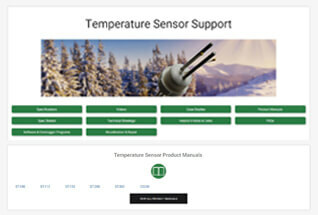 The ST-100 is a high accuracy thermistor (± 0.1 C from 0 to 70 C), mounted in a waterproof housing, designed for continuous measurement of air, soil, or water. 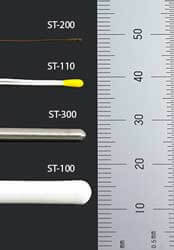 The ST-110 is a high accuracy thermistor (± 0.1 C from -40 to 60 C) designed to minimize solar load and thermal conduction. 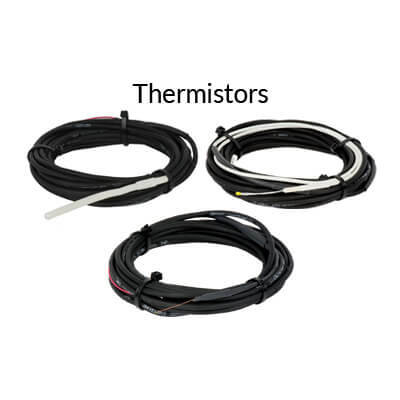 White heat shrink is used on the cable behind the thermistor to reduce solar load. Constantan wire is used to minimize thermal conduction down the wire towards the thermistor. The ST-150 is a 1/8 inch, Class A PRT with an IP67 rating. 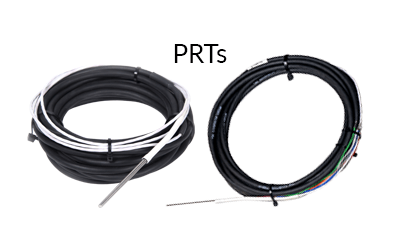 White heat shrink is used on the cable behind the PRT to minimize heat transfer to the sensor. PRT sheath dimensions are 3.18 mm diameter and 57.15 mm length, minimizing thermal mass. The ST-300 is a high accuracy PRT (1/10 DIN) designed to minimize solar load and thermal mass. White heat shrink is used on the cable behind the PRT to reduce solar load. PRT sheath dimensions are 3.18 mm diameter and 57.15 mm length, minimizing thermal mass. 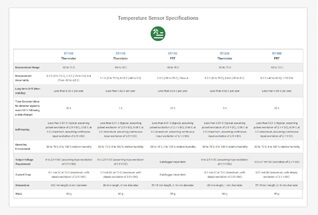 The CS240 is a surface mountable PT1000 Class A Platinum Resistance Thermometer (PRT) designed to measure back-of-panel temperature with the highest accuracy. The PRT is housed inside a rugged, self adhesive aluminum disk designed to withstand harsh environments and promote heat transfer from the panel surface. 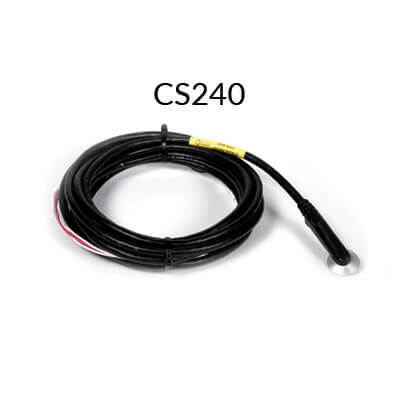 Kapton tape is required for cable strain relief and to fasten the CS240 to the back of a solar panel.